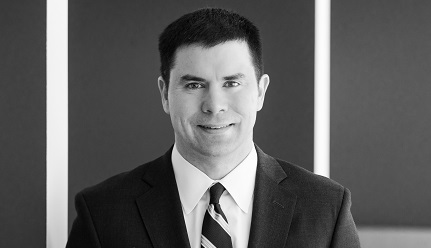 Brendan Crimmins is a litigation partner who represents clients in complex civil disputes. He has represented a diverse range of clients—both plaintiffs and defendants—in high-stakes commercial and business litigation in federal and state courts throughout the country. He has substantial experience representing private equity firms and their portfolio companies in disputes with debt holders, creditors, and minority investors, including large financial institutions, other investment firms, and classes of plaintiffs. He has also represented major telecommunications firms in numerous lawsuits and regulatory proceedings. Representing two private equity firms and several members of the board of directors of Clear Channel Outdoor Holdings, Inc. (“CCOH”) in connection with a shareholder derivative claim relating to transactions between CCOH and its parent company. In re Clear Channel Outdoor Holdings, Inc. Derivative Litigation, C.A. No. 7315-CS (Del. Ch. Ct.). Serving as lead counsel on behalf of a major telecommunications company in successful challenges to orders of state public utility commissions under the Telecommunications Act of 1996. BellSouth Telecomm., Inc. v. Kentucky Pub. Serv. Comm’n, 669 F.3d 704 (6th Cir. 2012); BellSouth Telecomm., Inc. v. Tennessee Regulatory Auth., No. 3:08-00059, 2011 WL 767122 (M.D. Tenn. Feb. 25, 2011). Representing a major financial institution in a multi-day evidentiary hearing regarding an IRS subpoena seeking tax accrual workpapers. The district court held that the measurement and analysis contained in those papers was protected from discovery. Wells Fargo & Co. v. United States, 2013 WL 2444639 (June 4, 2013). Leading the briefing in a precedent-setting appeal involving the statute of limitations for investor-fraud claims. The Illinois Supreme Court held that the trial court had erred in dismissing our client’s claims. Khan v. Deutsche Bank AG, 978 N.E.2d 1020 (Ill. 2012). Leading the briefing, at both the certiorari and merits stages, in a successful effort to obtain Supreme Court review and vacatur of an unfavorable court of appeals decision interpreting the fiduciary duty of a mutual fund investment adviser under the Investment Company Act of 1940. Jones v. Harris Assoc. L.P., 559 U.S. 335 (2010). Serving as part of an appellate team that won affirmance of an injured patient’s judgment against a drug manufacturer in a case in which the Supreme Court rejected the manufacturer’s claim that the Food and Drug Administration’s approval of labeling for a branded prescription drug preempts lawsuits for failure to warn. Wyeth v. Levine, 555 U.S. 555 (2009). Obtaining affirmance on appeal of a federal bank-robbery conviction while serving in the Department of Justice. United States v. Lawson, 410 F.3d 735 (D.C. Cir. 2005).